Fortitude Valley in Brisbane is home to its Chinatown and much of the city's night life. While it's not my favourite part of the city, I do like that it's close to the Brisbane River. I had a chance to walk around the area this afternoon because the recent wet weather abated. 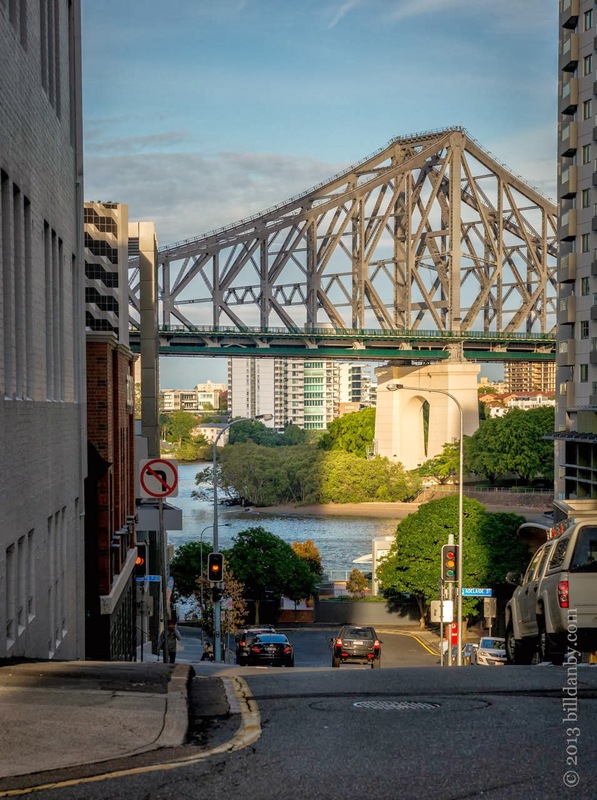 This is from the Valley side of the river, looking toward the Story Bridge and Kangaroo Point. The bridge is named for John Douglas Story who, as Public Service Commissioner, pressed for its construction.